Merry week before Christmas, gentle reader. I have so much for you today, my friend. So. Much. First: humble thanks for being so sweet to me in making such gracious comments on my 4th Anniversary Celebration post. *gulp* I’ve had a lump in my throat over all that nonsense for two days! Honestly, you all are too good to me. If you haven’t entered my giveaway, please do enter–the surprise packages that I will mail out will include soft cotton washcloths knitted by Amalia, some really deliciously-scented goat milk soaps, a handmade rolling pin from my shop, and much more! Glory issues in regards to preparing food for others: a raw confession. 🙂 ←is how I feel about that, by the way. A list of very serious reasons of why I think the humble (yet magnificent) Snickerdoodle is the perfect cookie. AND! I’m going to try to keep it short(ish, hey, it’s me! ), because it’s the week before Christmas, and so I know you’re all crazytown-busy. As. Am. I. You know it’s true (*more or less). 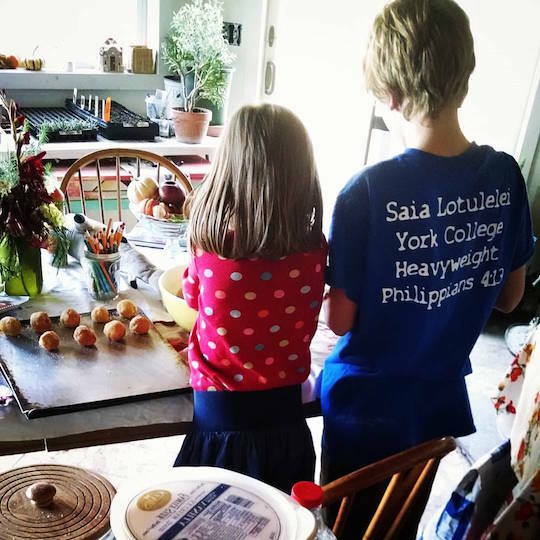 In our extended and crazy Young fam, for example, nobody really wants to bring the celery and carrot sticks, or the bag of potato chips because–although, yes, they are simple items to bring, requiring little time or effort–there is absolutely no glory festooned on the bringer of either one of those offerings. The Young family takes PIE pretty seriously. 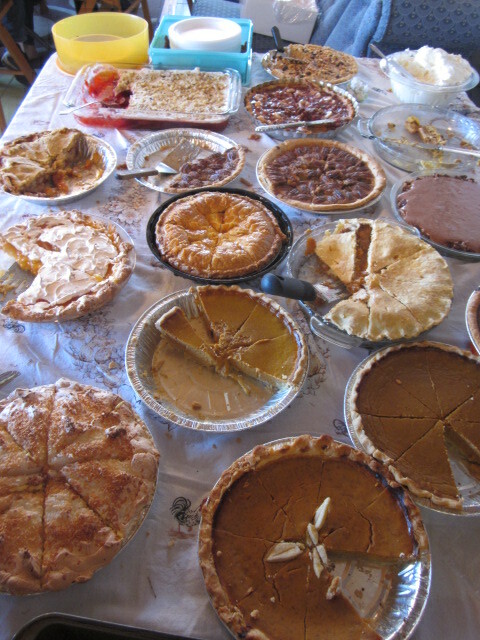 Here are a few of the 17 different pies that showed up at our last Thanksgiving feast. Anyhoo. You bring one of these exquisite and carefully-prepared dishes to one of our Young family events, and everybody practically throws a party in your honor! And this is totally appropriate, of course. It takes time and effort to make a pie or smoke a big ole’ fish, not so much to grab a bag of chips at the grocery store. But it’s worth it, for the glory *sigh*. Ah yes, the glory. Being a possessor of Young blood in his squirrelly little bod, little Mack has learned (at such a tender age, too!) the glory-angle in making yummy stuff in the kitchen for others. So far this season, he has made–with total success!–fudge for the drama group, caramels for a Thanksgiving dinner, and Snickerdoodles for drama rehearsal and his piano teacher. You know the result of all this? As I nibbled on one of his (they were perfect) Snickerdoodles, I mused on how to make them butter. Ha! I mean, better. Now that was a Freudian slip: I was thinking about the butter, because these cookies are nothing more than a glorious melding of cinnamon, sugar, and butter, basically. I actually mused for a good two days about how to make Snickerdoodles better. Wouldja believe it? I scanned the scope and sequence of my cookbook collections and food websites, and I even wandered the aisles of our grocery store (well, Mack and Amalia had some secret shopping to do and they told me to get lost for 10 minutes) searching for inspiration. Snickerdoodles don’t need improvement. They are just perfect the way they are. This is what I decided, and that is what I was planning to write, until I ate lunch at a friend’s house, and he served me (wait for it) Snickerdoodles . . . with the lovely additions of craisins, golden raisins, and colored sugar . . .
. . . They were fabulous. So . . . I decided that you can do whatever floats your boat, in the matter of Snickerdoodles. They are fabulous in their pure and simpleness, but they also are quite tasty and interesting with additions of nuts, dried fruits, and so forth. Think candied ginger (it’s good in anything). Chopped toasted pecans. Chopped dried apricots. Maybe a combination? Snickerdoodle balls with pecans that have been toasted in butter = yummmmm. Do you have a little who likes to help make cookies? Make these. If you need something quick to take to the office for a treat, make these. If you love a melt-in-your-mouth cookie with just the taste of butter, sugar, and cinnamon (and who doesn’t?) make these. 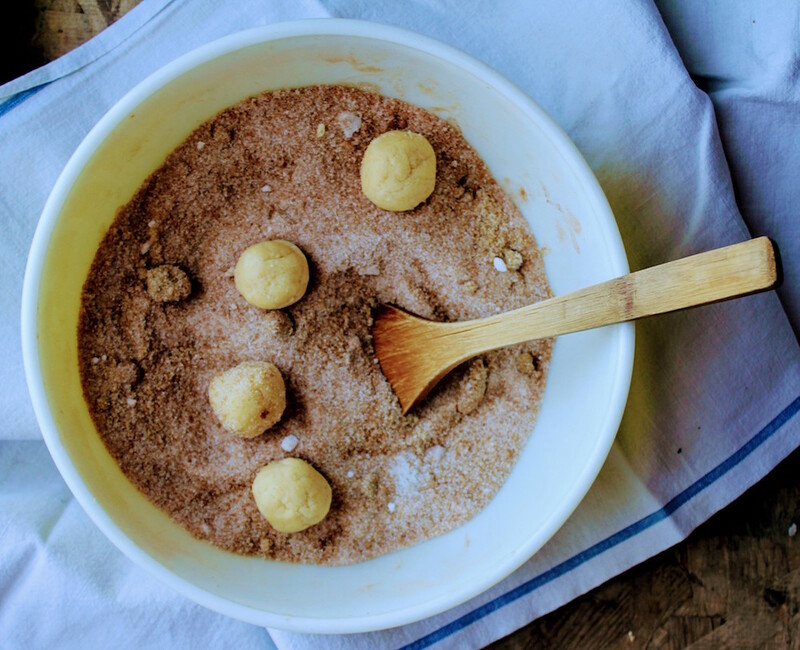 You don’t need many ingredients; you probably have everything you need right now in your pantry; it’s fun for littles to roll the balls in cinnamon and sugar, and you can’t beat the results. Here are my 7 serious reasons why Snickerdoodles are the perfect cookie. 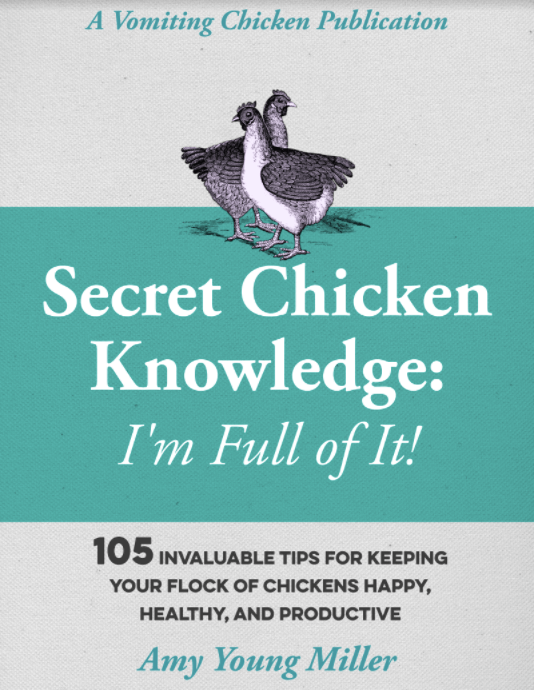 Following them, you will find my favorite Snickerdoodle recipe. And a few tips. And how to add toasted buttered pecans to them. My, my. You got more from this post than you were expecting, didn’t you? You only need a few simple ingredients. Furthermore. They are ingredients that you likely already have in your home kitchen*, even if you don’t consider it very well-stocked. 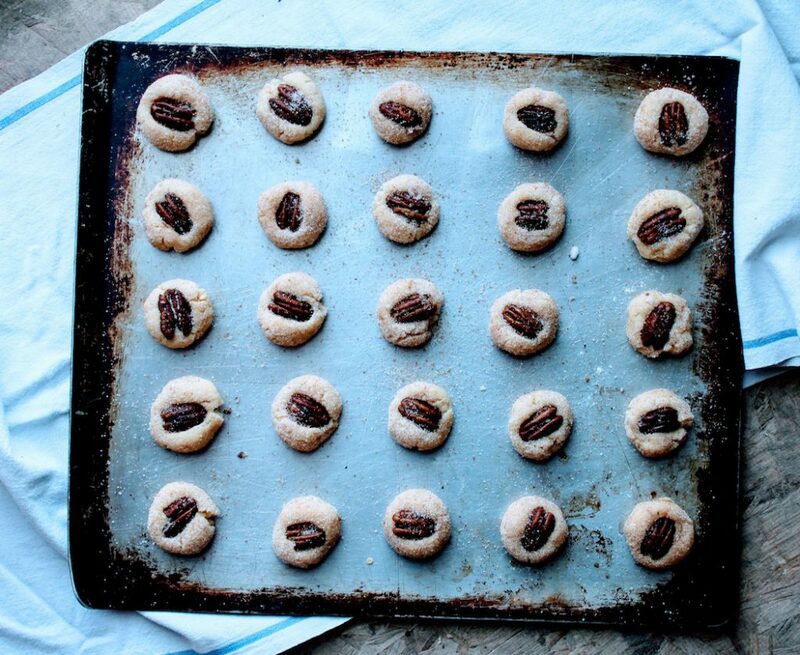 You get to make little balls out of the dough, and then roll them in sugar-cinnamon. This is basically playing with your food, folks. Aaaand you get away with it. Plus, you can eat a little sugary ball from time to time. Icing. On the cake. As it were. They are wonderful hot out of the oven. They are equally wonderful cold. They are good with coffee. They are great with milk. Wait. I am hearing the copy for a children’s book in there. The name: “Snickerdoodle.” It’s fun to bandy around. It’s super-fun to say when one is on the phone, as in “Yes, hi there, I’m just making Snickerdoodles. . . “ Try it. Say it aloud. See? Wasn’t that fun? Don’t you want to say that to somebody? Ergo you can have good hot cookies to eat in about (let’s see, maths were not my strong suit in school) forty minutes or less, with the mixing, the rolling, and the baking. Score! Okay, you may have to go the store for *cream of tartar. But if you don’t care about your cookies being soft, you can even skip the cream of tartar! Ta-da!! Sift together flour, cream of tartar, baking soda; set aside. Scrape down sides of bowl. Add eggs, and beat to combine. Add dry ingredients, and beat to combine. At this point, if you have time, chill the dough for an hour (or you can overnight) before scooping it. If you're in a hurry for Snickerdoodles (and who isn't?) you can skip this step. Trust me. In a small bowl, combine ¼ cup sugar and the ground cinnamon. Use a small ice-cream scoop or a teaspoon to scoop balls of dough, and roll in cinnamon sugar. Place about two inches apart on the prepared baking sheets. Bake until the cookies are set in center and begin to crack (they will not brown), about 10-14 minutes. Transfer sheets to a wire rack to cool. Thanks for popping in. And happy baking! *Okay, yes, Scout did get her cookie. 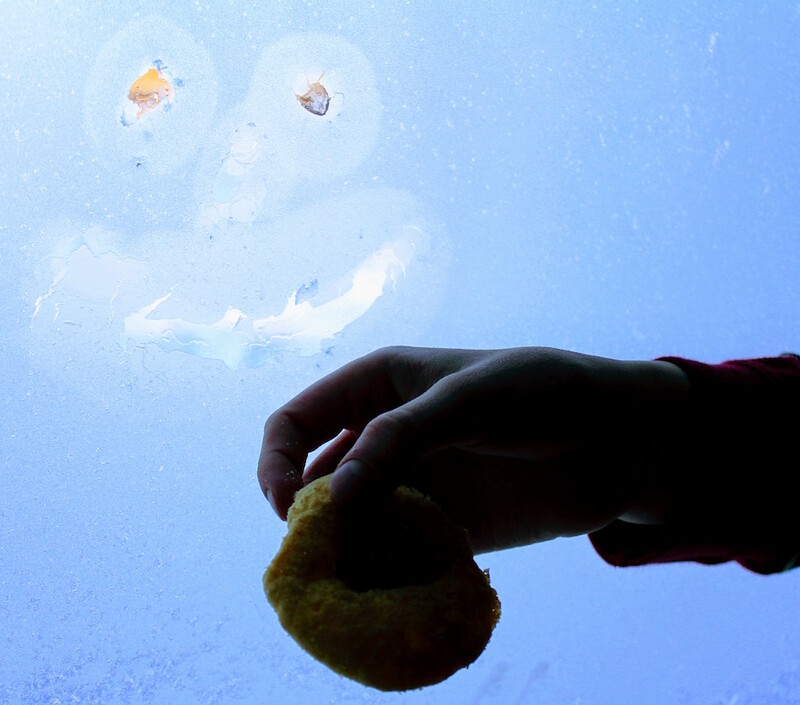 No animals, you might say, were disappointed in the making of these photographs! Tagged on: cinnamon sugar cookies butter, easy cookies for gifts., easy good cookies for holiday baking, how to make snickerdoodles, Snickerdoodles recipe, what are Snickerdoodles? ← Happy Fourth Anniversary to my Blog, and BIG Celebration Giveaway! 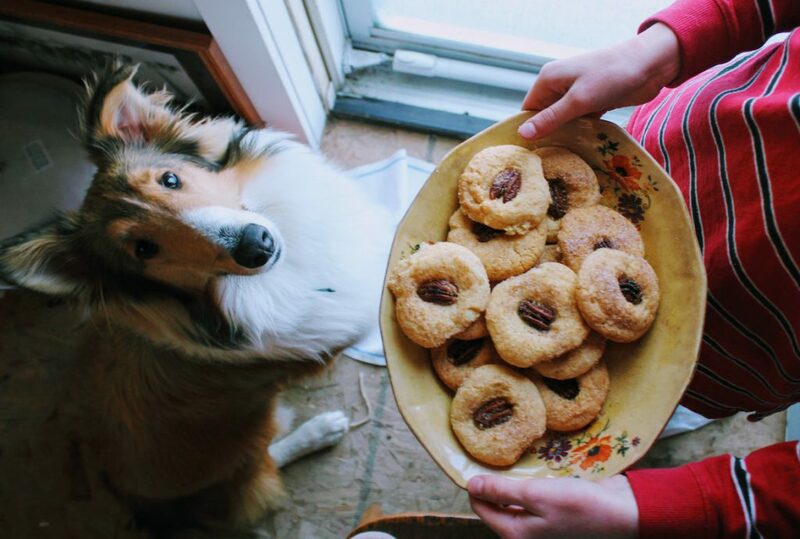 Amy, your title made me smile today because yesterday I was doing some holiday baking which included…snickerdoodles! They really are such fun to make with the grandkids rolling balls of dough. And the eating is perfection! 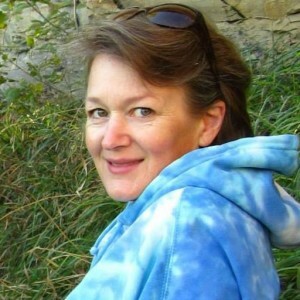 Always enjoy your blog! Happy Holidays! Thank you Kay, and merry Christmas to you! Yummo!! I like the idea of the extras. I like switching things up a bit. Sepeaking of I made chicken pot pie pasties this week. They were so good! I’m sending out treats to the neighbors this week, I might have to add these. Jill: chicken pot pie pasties? Yummo back atcha, girl. And I’m wishing that i were one of your neighbors!! Merry Christmas to you! My husband always asks me to make Snickerdoodles but I haven’t made them in ages. I had a great recipe when we were dating…a hundred years ago, and I’ve lost it. I will make Mack’s recipe for my husband’s Christmas homecoming, on Wednesday. He’s been gone a month and these will be a delicious, and memory inducing, treat for us both. Thank you for this. hooray for Christmas homecomings, Chelsea. I am hoping they turn out perfectly for you both!! I think Jaylee will have her first cookie making experience tomorrow…has to be Snickerdoodles. I’ve been so much stronger lately, but not up to peppernuts just yet. You started a mighty craving for those simple but wonderful cookies. I’m not doing any baking this year because my dear sweet wife has her zumba class every morning and that somehow removes sweets from the table. 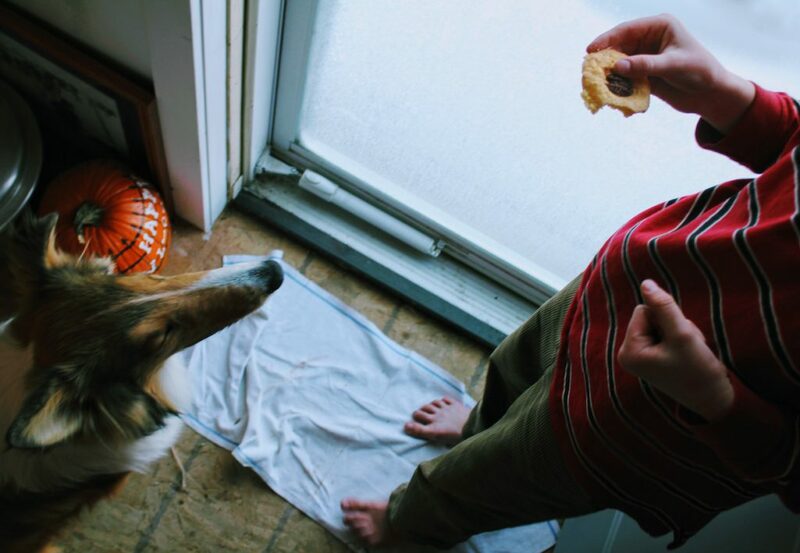 Little does she know that I have a fruit cake hidden in the crisper and while she is zumbaing I am enjoying coffee and fruit cake…..I am really happy that you shared a cookie with Scout. Of course now she will be expecting to be included at the dessert table from now on. Chef, OH I’d love to take a Zumba class with Maria! What a fun lady she is. That begs the question: why aren’t you zumbaing, too? That’d give you license to eat more than just a taste of the fruit cake now and then. 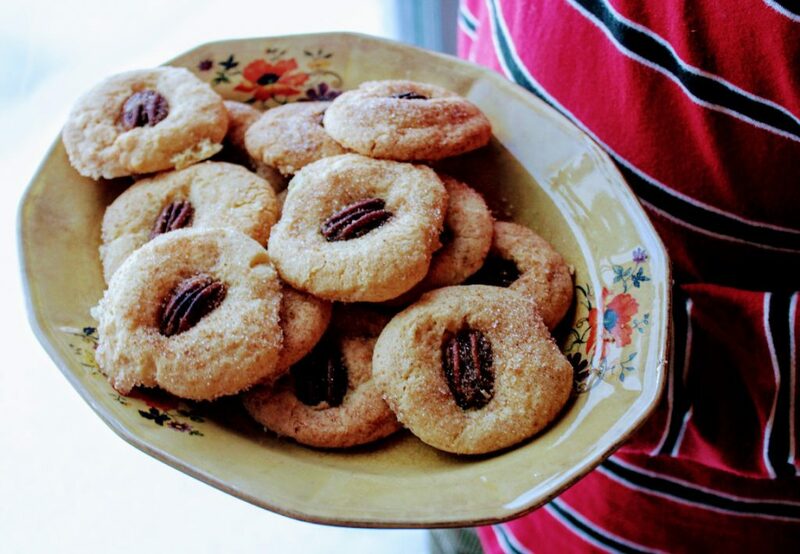 My youngest daughter’s favorite cookie………yes, a few more baking days before Christmas so will try out Mack’s recipe…….always enjoy reading your blog…Merry Christmas to you and yours……….. Thank you, pat, and happy baking! You’ve convinced me , I plan to do some baking this afternoon and these are on my list, they sound wonderful. We are about to start some cookie baking over the next couple days–yay! We made a bunch of chicken stock last night. Which I am excited about, because I love the smell of cookies baking! Much Christmassier (word?) than chicken stock!